It doesn’t get more awesome than this dudes! You thought the Teenage Mutant Ninja Turtle Pillow Pets (which featured in my 2013 Christmas Gift Guide) were RAD, well let me introduce the new Teenage Mutant Ninja Turtles Dream Lite Pillow Pets. Little L (my 4 year old) is obsessed with ‘the turtles’ and was the perfect person to road test the newest addition to the Dream Lite family. 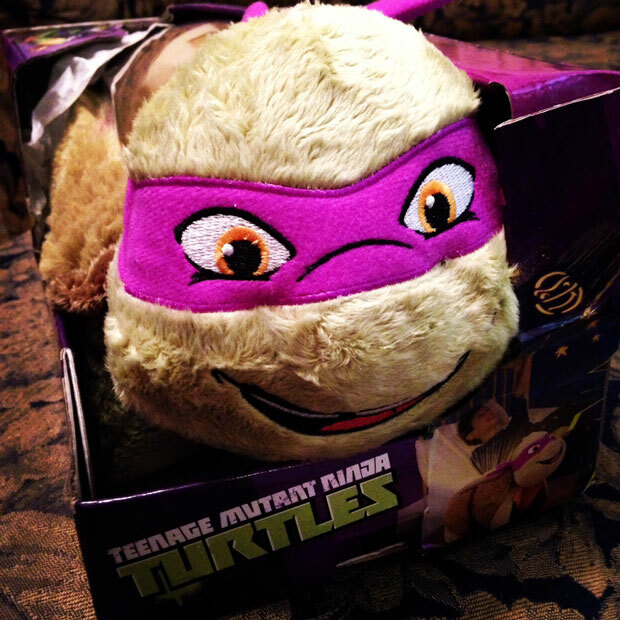 When Donatello (his favourite character) arrived Little L was very excited [understatement]. The TMNT Dream Lite Pillow Pets are about half the size of the ‘non light-up’ variety. I was really impressed with the light display (see below), which is quite bright but still perfect for a night light. I have been a big fan of Pillow Pets for a while and my kids have heaps. I just find Pillow Pets are really good quality – well made and durable. All your favourite hero’s in a half shell are now available as Pillow Pet Dream Lites – Leonardo, Michelangelo, Raphael and Donatello. Apart from the hard shell (quite appropriate really) that the light shines out of, these TMNT Dream Lite Pillow Pets are super soft and cuddly. You can set the light to shine one colour or double click the button to have the lights change from one colour to the next. The new TMNT Dream Lites are available from Big W and are $29.99 each. You can also purchase your favourite Pillow Pets at www.mypillowpet.com.au – however, at the time of publishing this post the new TMNT Dream Lites were not on the website but I’m sure they will be soon. They would make a great Christmas present for your little turtle fan. 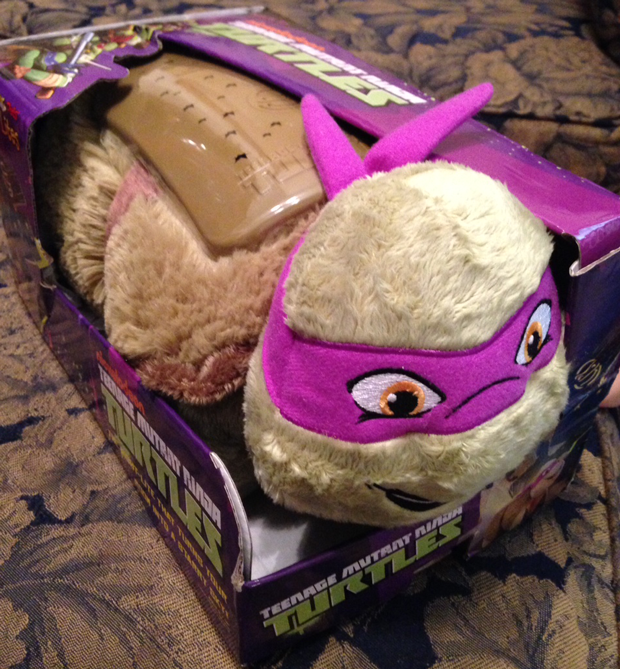 My overall score for the TMNT Dream Lite Pillow Pet is 4.5. I took half a point off for size. It’s only a small thing but the Dream Lites could be a smidge bigger. Like I said above, the Dream Lite Pillow Pets would be great if they were a little bit bigger. This is how much Little L loved it (or hated it) and I’m happy to report this was a solid 5 out of 5. 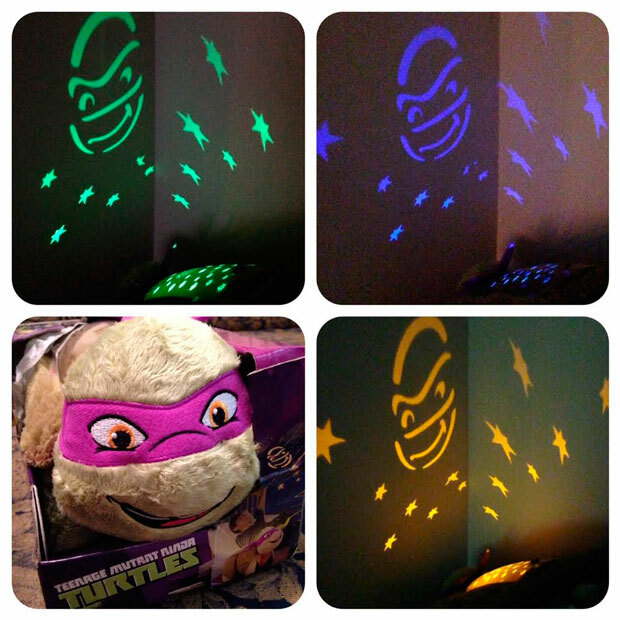 Little L loved his Donatello Dream Lite which now has pride of place on his pillow. The light display on the TMNT Dream Lite is excellent. It’s the perfect level for a night light and Little L (and mum) loved the cute little ninja face and stars that shine out from the Pillow Pet. It’s great you also have the choice of one colour or a different colour every few seconds – which is actually quite soothing. As I’ve mentioned above Pillow Pets are very good quality. We have quite a few and none of them have ‘broken’ or even look slightly worn. They are made really well and are easy to clean. The TMNT Dream Lite Pillow Pet will set you back $29.99 which I think is great value for what you get. You would struggle to find a night light for this price, especially one you can cuddle! Disclaimer: I received a Teenage Mutant Ninja Turtle Dream Lite Pillow Pet to facilitate this review. Any opinions expressed in this post are my own.